On Wednesday, March 23, Arkansas Gov. Mike Beebe signed a bill into law that makes minimum training available for public safety telecommunicators across the state. 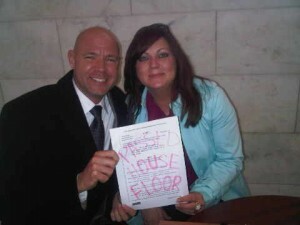 The bill, HB 1741 — now Act 640 — which was filed on Feb. 28, passed through the state House and Senate with no opposition. The training will be facilitated by the Arkansas Law Enforcement Training Academy (ALETA) and will not be mandatory. Although the curriculum has yet to be established, it will be based on APCO International’s Minimum Training Standards for Telecommunicators and Project 33 (P33) standards. According to Gray, the course will have a train-the-trainer structure, allowing individuals who complete the course to take their knowledge back to their PSAP to share it with their colleagues. Key players in getting the bill introduced and lobbying for the bill include Gray; Shannon McCuin, RPL, dispatch manager for the Washington County Sheriff’s Office; and Tammie Shipp, 9-1-1 administrator for Conway County 9-1-1. Supporters of the legislation include the Association of Arkansas Counties, the Municipal League, Fire Chief’s Association and the Sheriff’s Association. The work McCuin and Gray did in their RPL class (the APCO Institute’s Leadership Certificate Program — Registered Public-Safety Leader) served as the foundation for the final legislation. Working with the Association of Arkansas Counties, county judges and representatives from police, sheriff, fire and EMS, the bill’s first draft was being fine-tuned by late 2010. The Denise Amber Lee Foundation also provided the group with advice throughout the process. In January 2011, an ad hoc committee of stakeholders was formed to resolve final issues. To fund the training, a percentage of the 9-1-1 fees currently collected from wireless phone bills was reallocated to ALETA. But ALETA receives its funding through different channels than the 9-1-1 fee is collected, which meant a separate Senate appropriations bill to be filed to place this money in a special fund for ALETA was necessary. 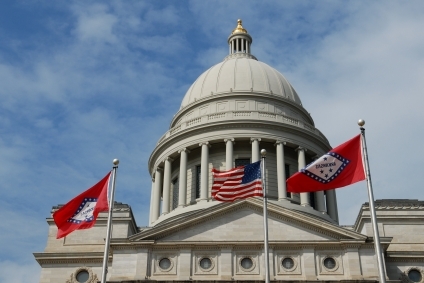 After the bill was filed on Feb. 28, Gray, McCuin and Shipp spent six weeks in Little Rock, meeting with state senators and representatives and gaining support for the legislation. The work is not over yet. According to McCuin, the ad hoc committee will convene to determine the details of the curriculum. They intend to forward the training to APCO International, to ensure it complies with Project 33 standards. It will then go to the Arkansas Commission on Law Enforcement Standards and Training, which will credential the final training, to approve and certify the curriculum. ALETA will hire someone to teach the course and will provide regional training sites across Arkansas. Click here to view the full release from Arkansas APCO. Click here to view the bill, its legislative history and its sponsors. Click here to read about APCO International’s Project 33. Natasha Yetman is associate editor of APCO International’s Public Safety Communications magazine. Contact her via e-mail at [email protected].